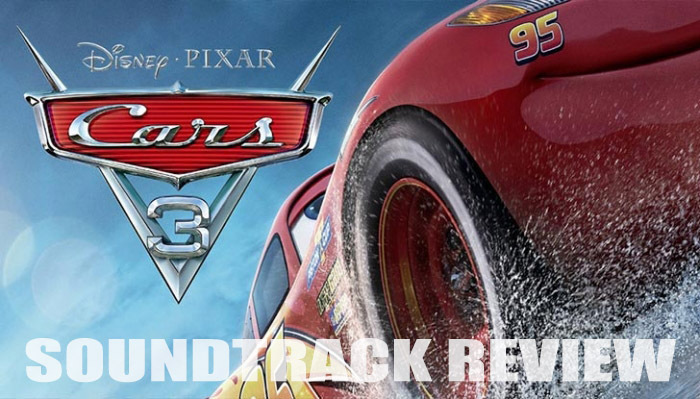 This past weekend I shared my thoughts on and gave you a detailed review of the Cars 3 soundtrack featuring Randy Newman's fantastic score (be sure to check that out right HERE). If you wondered, "hey, where are all the other cool tunes I heard in the movie?? ", wonder no longer. They're right here on a SECOND Cars 3 soundtrack—this time featuring the "hits"! So much of the fun of the original Cars stemmed from the song choices outside of Randy Newman's score. The Cars soundtrack instantly became everyone's favorite road trip music with songs like "Life is a Highway", "Route 66" and many more. There was a great mixture of old songs, new original songs and new covers of old songs. There was an overall country/folk/50's rock and roll vibe which provided retro undertones that helped give the film a timeless, classic feel. With that said, if you loved all that about the original Cars soundtrack, you will mostly like LOVE what they did here with the Cars 3 album! I know I did. The first track, titled "Run that Race" (by singer/songwriter Dan Auerbach), is essentially Car's 3's "Real Gone" (in that it's an original song that opens the movie). I love it! It really feels like a classic song that's already been around for a while—yet it's brand new. If I didn't know any better, I would have thought it was an older rock song from the 60's or 70's. It's catchy, a lot of fun and was the perfect way to introduce Lightning McQueen at the top of his game at the start of the film. Track two, titled "Kings Highway" (covered by singer/songwriter James Bay), is one that might sound more familiar since it's a remake of the 1991 classic of the same name (originally sung by Tom Petty and the Heartbreakers). Again, this song completely mirrors what they did in the first Cars with "Life is a Highway" in that it's an upbeat, modern cover of a classic song that takes place during a travel montage with Mack and McQueen (and funny enough, both "Life is a Highway" and "Kings Highway" were originally released in 1991). This just might be my favorite track in the film...such a solid choice! I love how they kept the old school rock and roll feel, but gave it a slight modern update (without going too modern). Tom Petty purists may not dig it, but I really like this one. Tracks three and four, "Truckaroo" and "Thunder Hollow Breakdown", are original instrumentals by Cars staple, country singer/songwriter Brad Paisley. In the first film, Paisley provided two original songs: "Behind the Clouds" (which subtly plays in the background of Flo's V8 cafe, as if it was coming through an old radio, while the townies discuss Doc as a famous race car. It's also heard at the beginning of the short Mater and the Ghostlight) and "Find Yourself" (which plays during the end credits). In Cars 2, Paisley preformed the end credits song "Collision of Worlds." 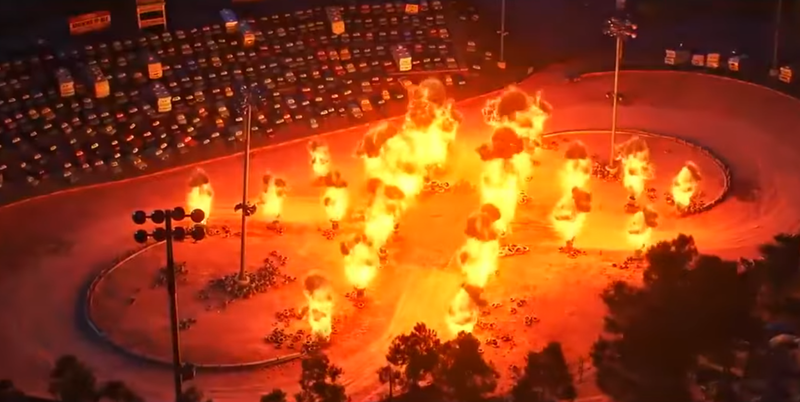 For Cars 3, Paisley digs deep into his southern roots and gives us two rockin' blue-collar style tracks featuring original electric guitar compositions—track three sets the scene at Thunder Hollow and track four captures the high-octane crazy eight action of the demolition derby! Both are very cool tracks which turned out exactly how I pictured/hoped they would. Track five, "Glory Days" (preformed by Andra Day) is another cover of an oldie but goodie...the 1984 classic of the same name (originally by Bruce Springsteen). This version has much more of a country flair (as well as some good ol' soul) which works perfect in the film's old town pub scene. The style they went with fits so well here and the lyrics perfectly match the overall theme of the film as well. No complaints. "Ride" (by ZZ Ward and Gary Clark Jr.) is track six and is the last of the songs on this album that are actually in the movie. "Ride" had its worldwide debut on April 17th of this year during the Dancing with the Stars "Disney Night" television event. I have grown incredibly fond of this song and find myself putting it on repeat often (that guitar riff is fantastic and gets stuck in my head). Again, I LOVE how they captured the magic, retro tone of late 50's/60's rock and roll era with some added modern energy. And after having seen the film and how this song fits into the epilogue/end credits, I enjoy it that much more picturing what's happening on screen. So well done! The last two tracks, "Drive My Car" and "Freeway of Love", as mentioned, are not even in the film (they're classified as "bonus tracks" here on the album). Both of them are covers of classic songs you probably know or at least heard of; "Drive My Car" was originally by The Beatles (covered here by Jorge Blanco) and "Freeway of Love" (covered here by, and here's a fun fact, Lea DeLaria—the voice of Miss Fritter! Who knew she sang right?) was originally sung by the legendary Aretha Franklin. I probably feel connected to these two tracks the least, but they're still fun to have on here. Don't take my word for it though, listen for yourself! Be sure to pick this up on iTunes or Amazon (digital or CD) using the links below and let me know what you think. It might take a couple listens for it to sink in, but I hope you end up enjoying it as much as I have.